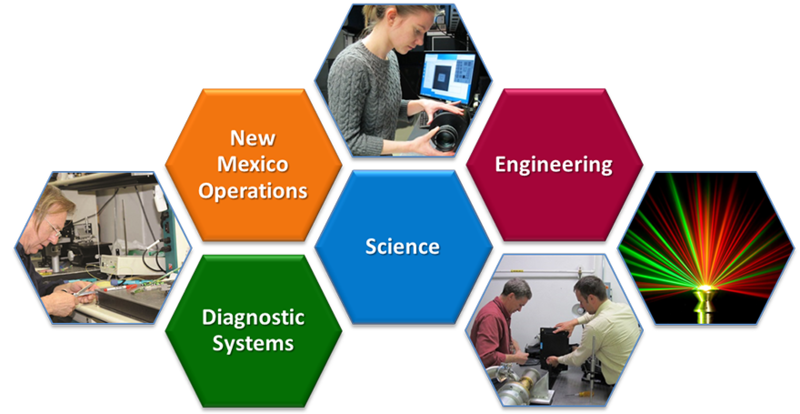 New Mexico Operations (NMO), located in Los Alamos and Albuquerque, supports Stockpile Stewardship activities and subcritical experiment diagnostic development collaboratively with laboratory colleagues, providing complex diagnostic development, instrument design, experiment operations support, and analysis. 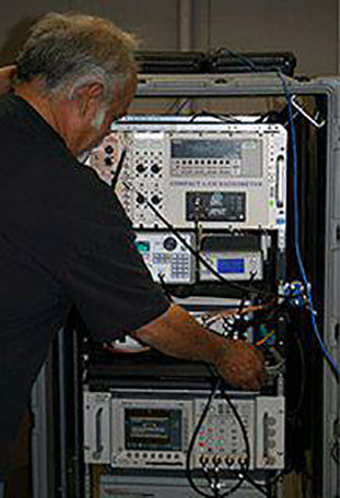 NMO’s more than 20 laboratories support technical core competencies in high bandwidth and digital engineering, velocimetry, modeling and analysis, imaging systems, radiography, plasma physics diagnostics, and optical and fiber-optical design. 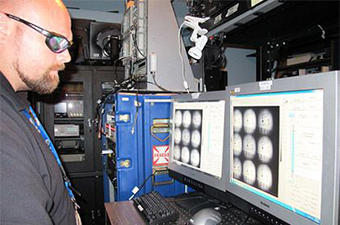 At Sandia National Laboratories (SNL) Tech Area IV, NMO provides diagnostic development and support for dynamic materials experiments conducted on various pulse power machines, including the Z machine. NMO produces superior optics and opto-mechanical design, high-speed instrumentation, and photonics and electronic imaging, and has extensive experience in pulsed power and accelerator maintenance and operations, including containment chamber design, analog and digital circuit design, and control system design and fabrication. 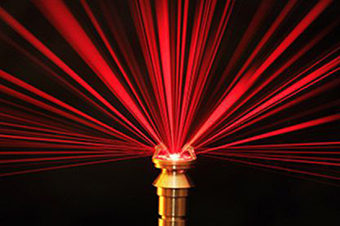 Custom design and fabrication of fiber-optic arrays, computer-controlled optics, lens design, fiber-optic detectors, opto-mechanical systems, laser optics, and design of pyrometer and holographic systems are common. NMO design teams have been recognized for the UV holography lens design (R&D100 Award, 2009), received multiple awards for NIF VISAR (Lockheed Nova and Lockheed Premier awards, 2004), and recently have been finalists for ground-breaking optical probe designs (Argus Fisheye Velocimetry Probe, R&D100 finalist, 2015). They are highly active in the Site-Directed Research and Development (SDRD) Program, which develops the technologies to support future mission requirements. 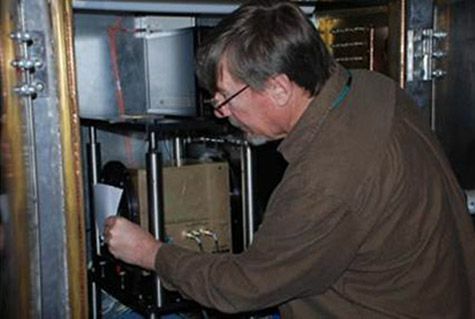 NMO’s dedicated team of scientists, engineers, and technicians perform a wide variety of scientific, engineering and software development tasks in support of Stockpile Stewardship, Global Security, and other programs, having expertise in applied science research, sensor and detector development, X-ray source development, physics simulations, analysis of experimental data, and development of analysis code, control software, and database software. NMO conducts research on novel neutron detectors, muon tomography, S-ray ranging, ionospheric modeling, and ultrafast cameras. Control software including camera control, motion control, automated data acquisition, and message service-based control software are developed. Physics modeling capabilities include Monte Carlo N-Particle (MCNP), GEANT4, and LSP. 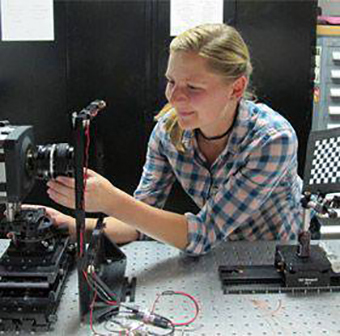 NMO develops custom codes for modeling microchannel plates and other diagnostic equipment, and performs data analysis of radiographic images and pyrometry, Velocity Interferometer System for Any Reflector (VISAR), photonic Doppler velocimetry (PDV), and neutron and gamma ray experimental data. Its lab assets include an in-house linear accelerator, pulsed X-ray source, a holography reconstruction bench, and a Secure Computing Lab for processing new and archival data. 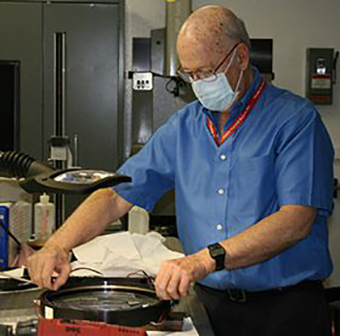 NMO provides NNSS with essential resources for diagnostic fielding at its facilities, including U1a and the Dense Plasma Focus (DPF) machines. They have been involved in developing sophisticated designs for velocimetry diagnostics, particularly VISAR and PDV, the latter has been further developed to record up to 128 channels of data on a multiplexed PDV system (R&D 100 Award, 2012) that has been a paradigm shift in obtaining velocimetry data in dynamic materials experiments across the complex.